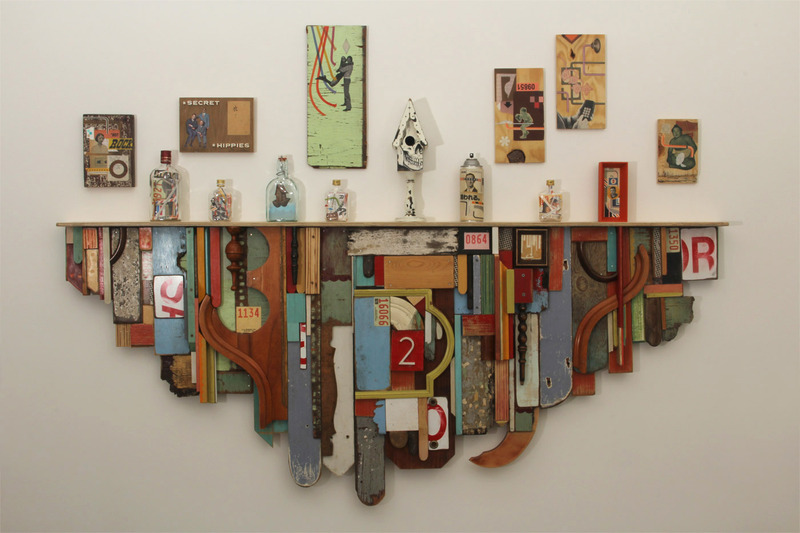 Reuben Rude and Bill ZindelShelfFound wood assemblage. 31 in. 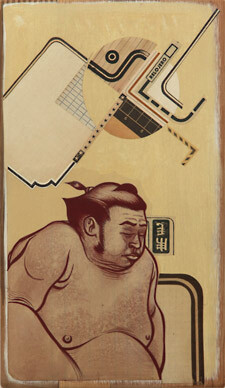 x 73.5 in. 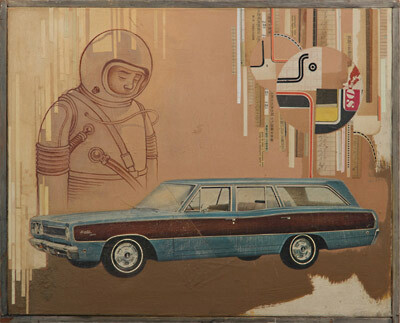 Reuben Rude and Bill ZindelSatelliteAcrylic and collage on recycled painting. 17 in. x 21 in. 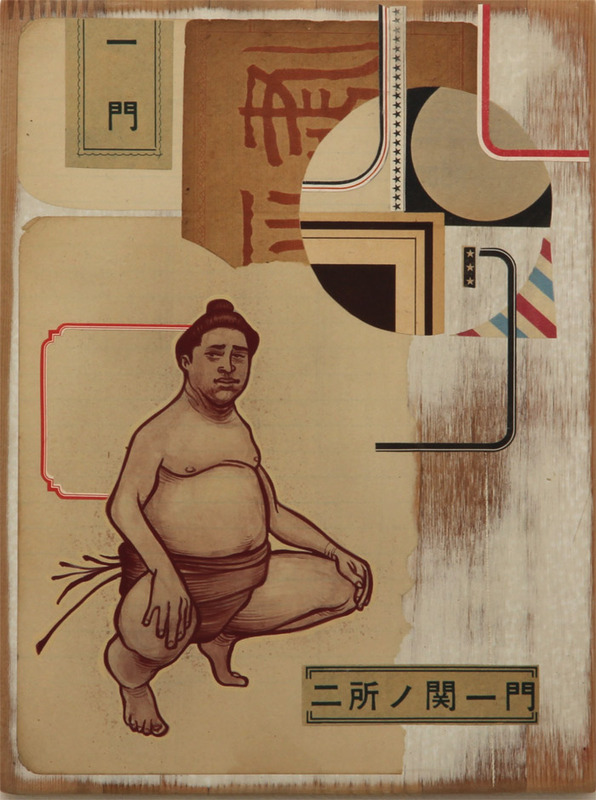 Reuben Rude and Bill ZindelSumo 1Acrylic and collage on wood. 16 in. x 10.5 in. Reuben Rude and Bill ZindelSumo 2Acrylic and collage on wood. 12 in. 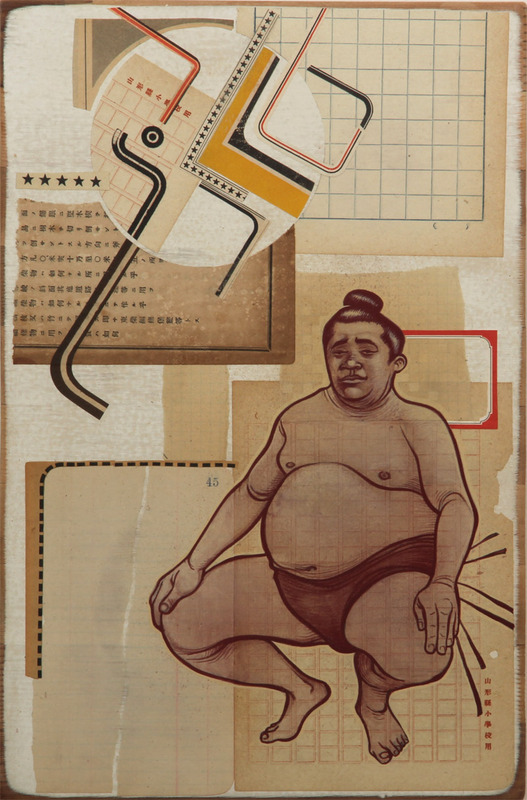 x 7 in. 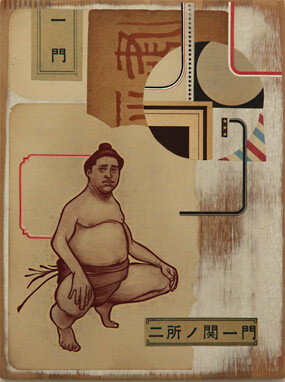 Reuben Rude and Bill ZindelSumo 3Acrylic and collage on wood. 12 in. x 9 in. 3318 22nd Street @ Valencia, San Francisco CA 94110 | 415.647.5888 HOURS : 12-6 Thu. Fri. Sat. Sun. Mon. By Appointment Tue. Wed.